"Survivors" who deny the holocaust. I have read a lot here and other sites and I cant seem to find the information I am looking for. Either it doesn't exist as such, or my search skills are severely lacking. I have happily convinced at least two of my work colleagues that the holocaust never happened. So much so that I "ruined" their recent trip to Auschwitz. They could clearly see how the "evidence shown" is not evidence of mass genocide etc. Anyway, one of my other colleagues, who agrees that the logic in holocaust denial makes sense, still WANTS to believe that it is real and has asked if I can provide just ONE Jewish camp survivor who denies that the holocaust happened. 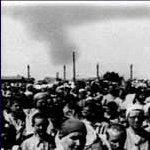 I have seen a number of the USC Shoah foundation videos of testimonies of people being transferred through Treblinka, and making theatres and playing football etc, but I haven't found any of these where they directly state that there was no gassings taking place. Re: "Survivors" who deny the holocaust. 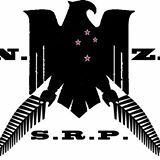 Hello, NZSRP, and welcome to the Forum! ".....provide just ONE Jewish camp survivor who denies that the holocaust happened"
Do a search on this Forum for "Joseph G. Burg", "Joseph Ginsburg" to start with and other people may have other suggestions. Paul Rassinier. An inmate at Buchenwald. Some consider him the founder of holocaust denial. Paul Rassinier was not Jewish, but he was a camp survivor and a leading revisionist. The other way of looking at this is to find a 'survivor' who actually saw the gassings or took part in them. Another way is to define what your colleague thinks the Holocaust actually is. When you find there is no proof or even logic to the claims of six million and gas chambers you'll see that the holocaust of 6m-gas chambers is nonsense. See my sign off for a quick way to summarise this issue. One of my searches on Burg threw up a little gold mine, (http://www.whale.to/b/burg_h.html). The image at the bottom of the page lists another two survivors who knew nothing of gas chambers as well. So now I have four including Burg and Paul Rassinier. My next task, which I think may prove nigh on impossible, is to try and find non revisionist source quotes for their denials. In my arguments (not angry arguments, but fun debate/discussion arguments) my friend has said that I should not be using revisionist material to quote from because it is biased......to which I respond with, "Then you cant use orthodox source material because it too is biased. Plus the fact that the orthodox does not want to talk about eyewitness deniers because they are not telling the right story." Anyway, thanks for the leads. Last edited by hermod on Thu May 15, 2014 8:44 pm, edited 1 time in total. NZSRP wrote: Anyway, one of my other colleagues, who agrees that the logic in holocaust denial makes sense, still WANTS to believe that it is real and has asked if I can provide just ONE Jewish camp survivor who denies that the holocaust happened. Does that colleague also believe in Witchcraft and the Devil because very numerous "witches" on trial 'confessed' they had a pact with the Devil and none of them (as far as I know) ever denied the existence of Witchcraft and the Devil? Professor Michel de Bouard, former inmate at Mauthausen, admits Holocaust record is "rotten to the core", rife with "fantasies" and "exaggerations"
In the monograph on Mauthausen that I published in Revue d’Histoire de la [Deuxième] Guerre mondiale in 1954, I mentioned a gas chamber on two occasions. When the time of reflection had arrived, I said to myself: where did you arrive at the conviction that there was a gas chamber in Mauthausen? This cannot have been during my stay in this camp, for neither myself nor anybody else ever suspected that there was one there. This must therefore be a piece of ‘baggage’ that I picked up after the war; this was [an] admitted [fact] but I noticed that in my text - although I have the habit of supporting most of my affirmations by references-there was none referring to the gas chamber . . . (Ouest-France, August 2-3, 1986, p. 6). You were president of the Calvados (Normandy) Association of Deportees, and you resigned in May, 1985, why? I found myself torn between my conscience as a historian and the duties it implies, and on the other hand, my membership in a group of comrades whom I deeply love, but who refuse to recognize the necessity of dealing with the deportation [ 1] as a historical fact in accordance with sound historical methods. I am haunted by the thought that in 100 years or even 50 years the historians will question themselves on the particular aspect of the Second World War which is the concentration camp system and what they will find out. The record is rotten to the core. On one hand a considerable amount of fantasies, inaccuracies, obstinately repeated (in particular concerning numbers), heterogeneous mixtures, generalizations and, on the other hand, very close critical studies that demonstrate the inanity of those exaggerations. I fear that those future historians might then say that the deportation, when all is said and done, must have been a myth There lies the danger. That haunts me. (Ibid). In some way, Simon Wiesenthal himself. He, of course, didn't deny the Holocaust and the gas chambers. But the world-famous "Nazi hunter" and Jewish "Holocaust survivor" dismissed all the 'testimonies' and 'confessions' on the alleged gas chambers located on the German soil (Dachau, Belsen, Buchenwald, etc.). When he did that, he demonstrated the non-probative value of "testimonial evidence", the same kind of 'evidence' supporting the gassing allegations at Auschwitz, Treblinka, etc. I wonder how much success you would have today getting a letter "denying the Holocaust" published in the Hutchison News, or any other US or UK newspaper? Roger Dommergue is a Jewish Holocaust Revisionist and was born in France in 1923 (so he could technically be called a "survivor" I think). All the so called "survivors" are in reality 'holocaust deniers'. After all, the storyline states that the Germans supposedly 'wanted to kill every Jew they could get their hands on'. The endless numbers of "survivors" confirm the Revisionist position. Hannover wrote: All the so called "survivors" are in reality 'holocaust deniers'. Indeed! Also, the vast majority of "survivors" I've seen/heard speak to the subject at all(aside from the most obvious crackpots, propagandists and liars), freely admit that they themselves, never saw any homicidal gassing operation or, for that matter, activities of a murderous nature of any kind whatever! Casting all logic and rationality aside(for various reasons - honest or otherwise), virtually all of them simply assume that anyone who was "shipped away," or onto another camp, or this or that, was naturally sent right to "zee gas chambers." You hear this stated over and over again - but it is all just presumed on their part. The fact is that they have no real idea WHAT happened to those people! Any one of them could have lived right in their same town in, say, Illinois, for the past five decades and they'd not even know it! Again, they are simply telling their own tales(insofar as these memories are even remotely accurate after all these years) as they remember them - more or less - and by assumption or in some other implicit manner, writing off people at random as having been murdered when, in point of fact, they do not, and cannot possibly know that to have been the case - let alone HOW they would have supposedly been "murdered." I imagine that most of them would never claim there were no gas-chambers or mass killings because they honestly - like most every other person in the Western world - genuinely believe that there were! The fact that they actually were at an Auschwitz or Majdanek, etc., is almost incidental. They have been told, from that time(in the camps or ghettos) to the present through films and similar propaganda that these were "death factories," and they simply accept it as being so. And naturally, when believing(or even endlessly repeating and re-telling) certain things undeniably works in your favor, few are going to go out of their way to seek inconvenient truths that spoil that favorable situation - that's just they way many are.